Hiya ladies! This Friday's post is going to be more of five recaps from my past week, rather than my typical "favorites / finds". 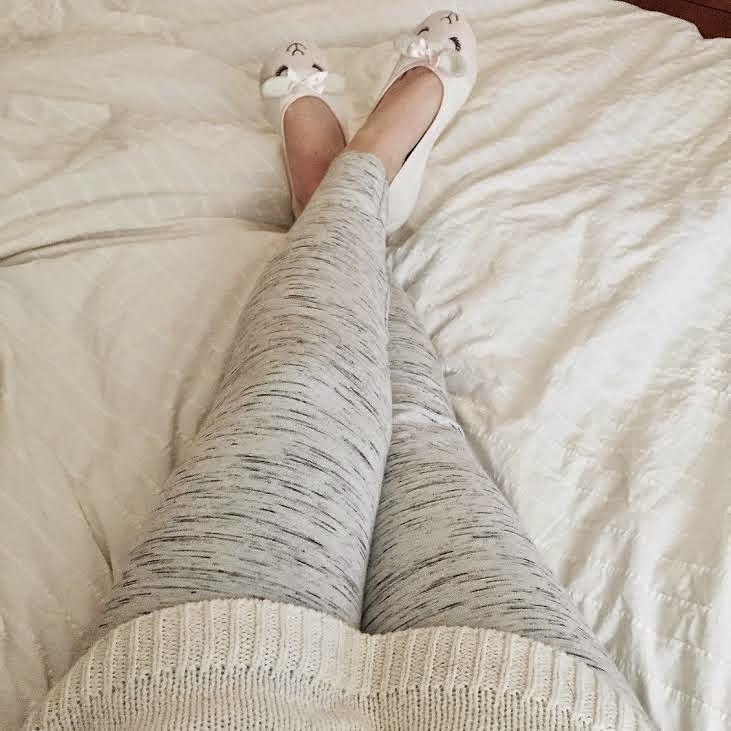 After spying the LC Lauren Conrad collection (for Kohl's) on Biana's fabulous blog and falling in love with it, I finally got my hands on two items - the marled grey leggings and pointelle back knit sweater. 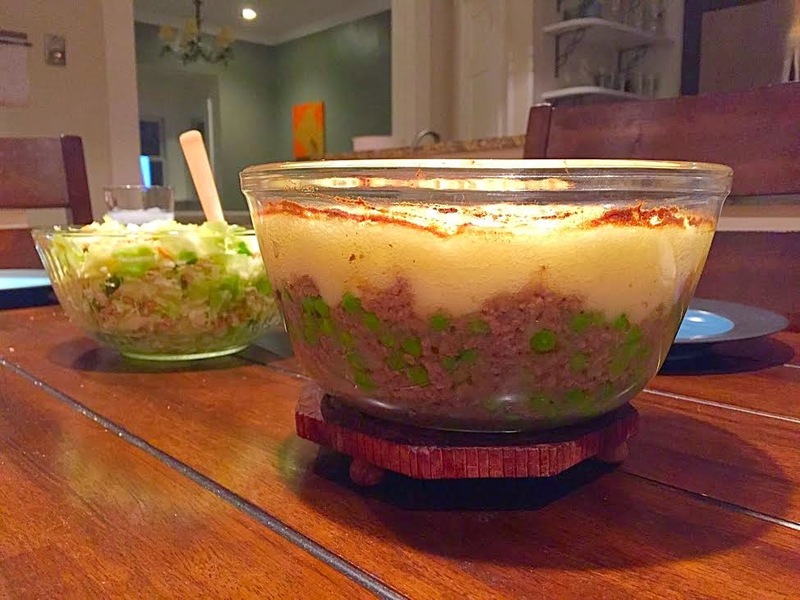 Oriental Cole Slaw Salad and Classic Shepherd's Pie - I'll be sharing the recipes soon! Both super easy to prepare and very tasty! Aaron and I went out on Sunday night to celebrate my birthday. We go to the same restaurant every year, Cantina Laredo...it's one of my favorites, but pretty pricey, so that is why it's saved for my bday. 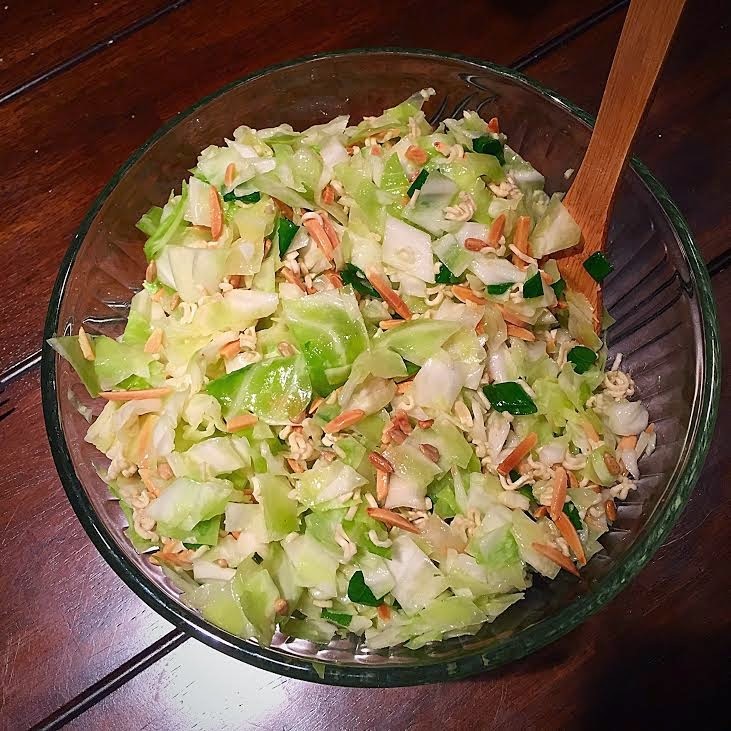 Ensalada De Camaron con Miel - so delicious!! 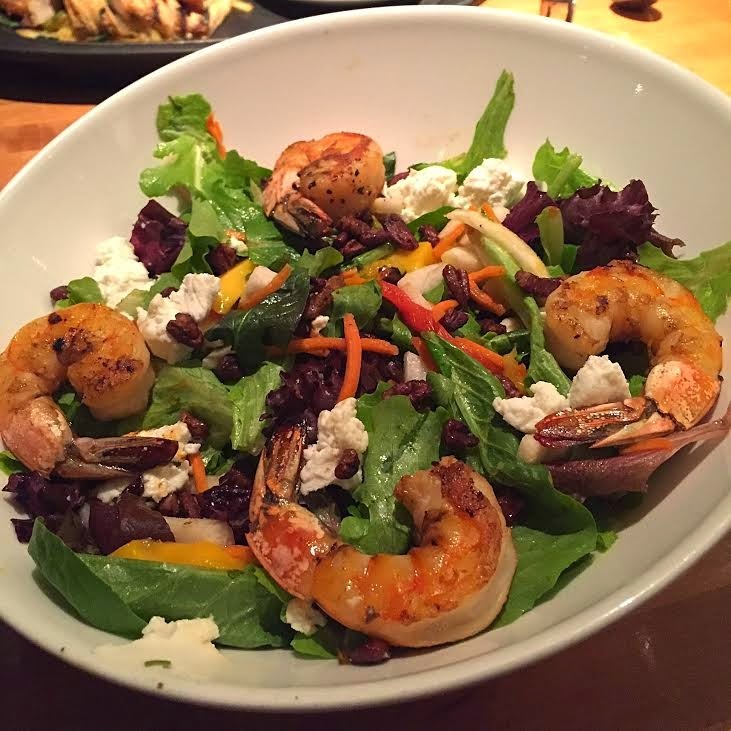 Grilled shrimp, jicama, mangos, roasted walnuts, and goat cheese crumbles with a tropical honey vinegarette dressing. And the main reason we love this place (besides the margaritas ;)...the dessert. Well, one in particular. It is hands-down THE BEST dessert I have ever had. 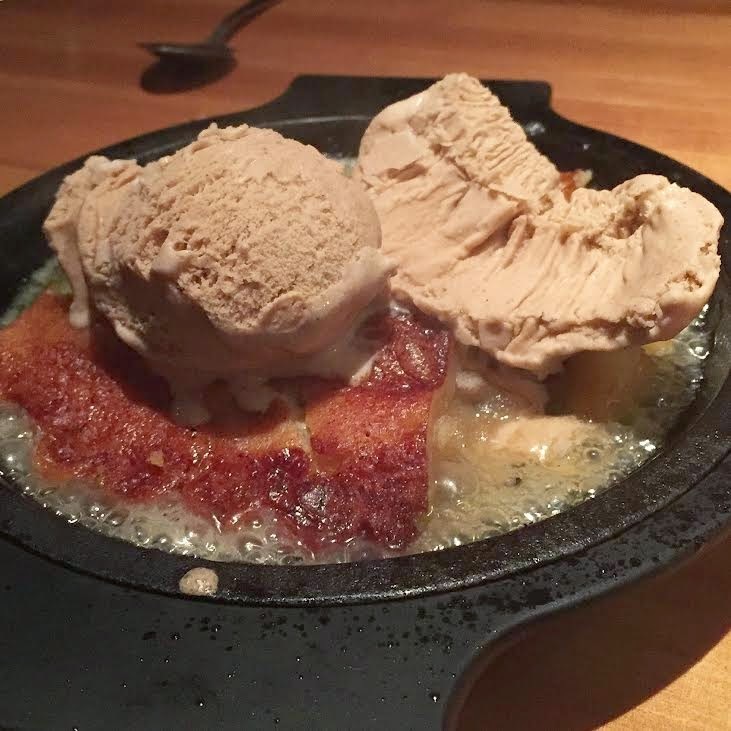 Sizzled in brandy butter and topped with cinnamon ice cream. 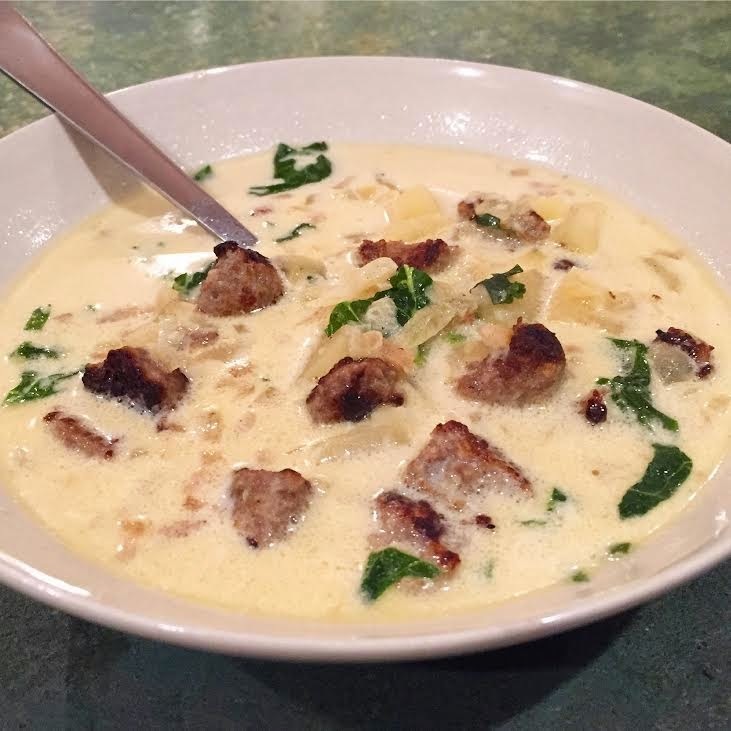 If you missed my recipe post on Wednesday, check it out here! 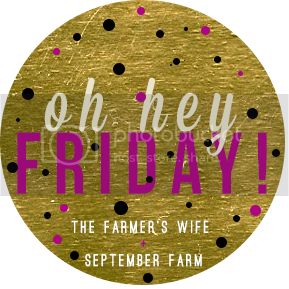 Have a great weekend and be sure to join in the Friday Link-Ups with some of the best bloggers around! Those leggings look amazingly cozy! Stopping by from the link up! 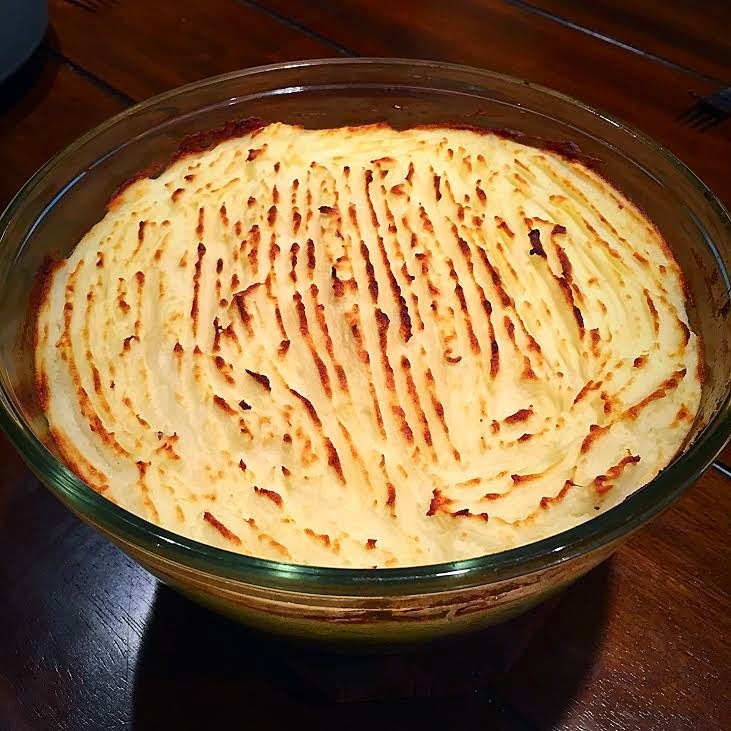 Would love to get your recipe for shepherds pie! 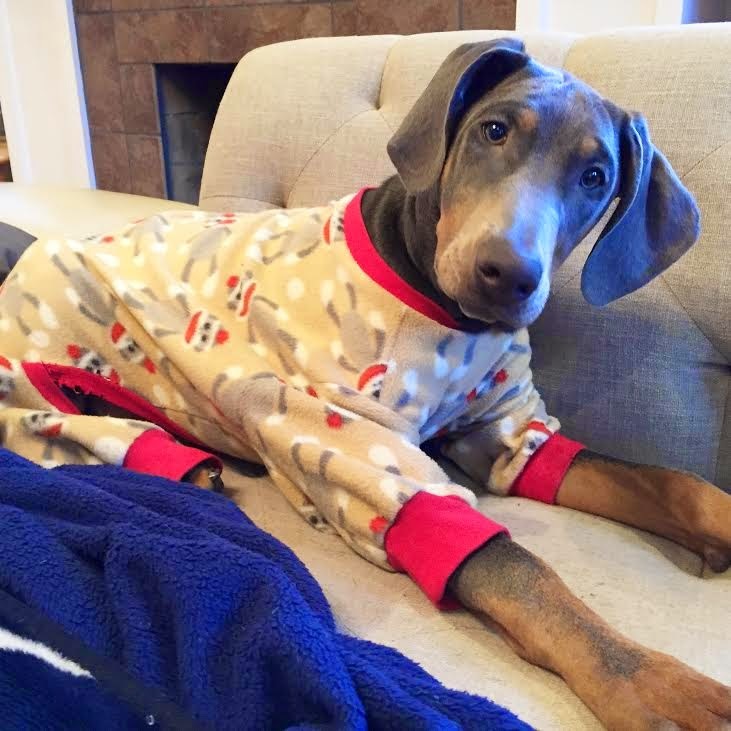 Also, where did you get those cute doggie jammies!? Look at how well-dressed your cute little family is! 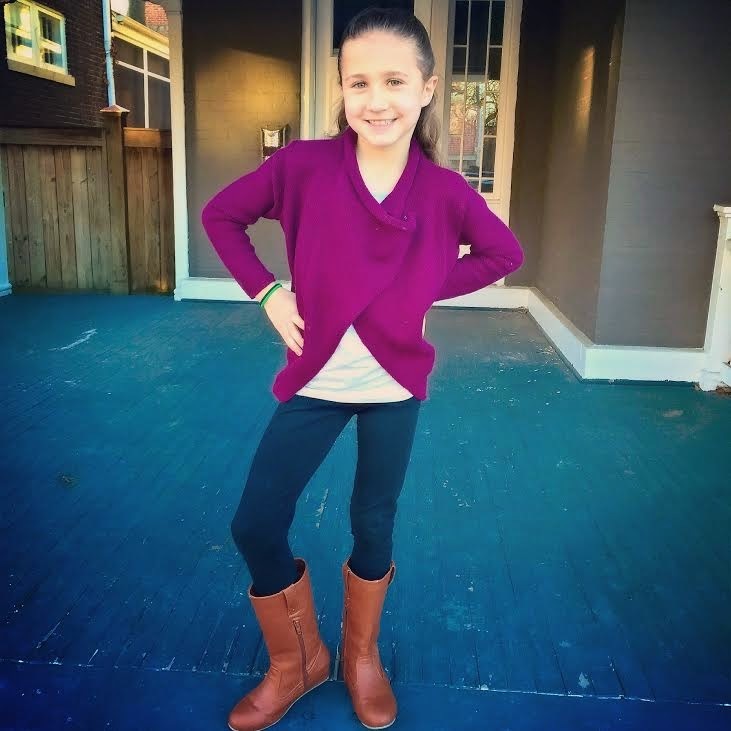 Love the leggings on you and A.! I totally remember your bday foodie pics from last year haha (food-obsessed much?). Time flies! Have a great weekend! I have never been a fan of Kohls but I really like that outfit! I think I need to go check it out! Have a great weekend! I need to check out that collection, sounds amazing! That salad looks delicious, too! I need to try to make that soup! I love Olive Garden's soups. There's so many fantastic things in the blog post. Like, as in, all of them. How are the stretch of those leggings? They were totally on my radar. All the recipes look so good!!! Ahhh! I love all of these things! Especially the food... I'm hungry. Lol. Those LC leggings and sweater look so comfy! :) Aubrey looks adorable in her new outfit! ON has great deals!